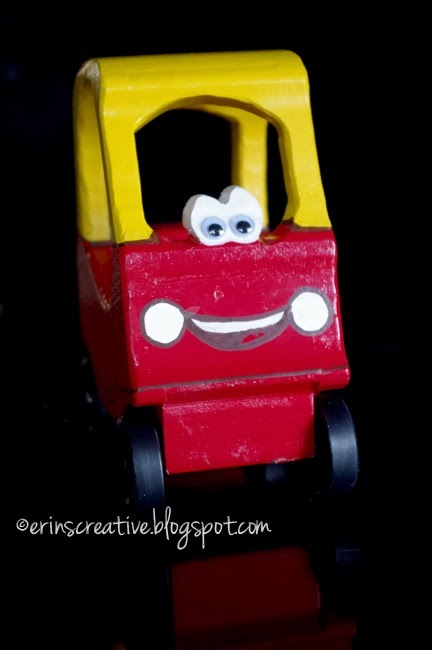 This is my Cozy Coupe Pinewood Derby car. If you at all wondered how my car did...watch the video below. By the way, in the rules there was no height restriction. I'm sure there will be for next year. My car did register a time since the front end did cross the finish line before making an abrupt stop and flying backwards.